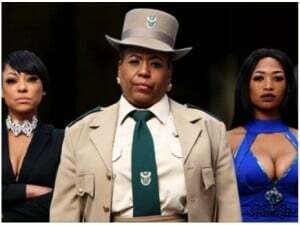 Cape Town – South Africa's Broadcasting Complaints Commission has slammed M-Net's Carte Blanche over an "unfair" iSimangaliso Wetland Park story, saying the investigate magazine show's insert lacked accuracy and objectivity. The iSimangaliso Wetland Park Authority laid a complaint with the BCCSA over an August 2015 insert on Carte Blanche. The insert dealt with the way the wetland, a heritage site situated in the north-eastern section of KwaZulu-Natal, was apparently being mismanaged, and its officials Terri Castis and Andrew Zaloumi. The BCCSA in its judgment found that the insert "reveals a mindset in which the producer appears to want to vent only grievances in the programme" and that "reasonable efforts were not made to fairly present opposing views". "There are several omissions of pertinent information given to the producer in an interview," says the BCCSA, that "would have served to give the audience a more balanced view". The BCCSA found that Carte Blanche contravened the broadcasting code in several aspects and that the broadcast unjustifiably portrayed Terri Castis and Andrew Zaloumis and the park authority as failing to properly manage the park, and that in doing so, businesses had closed down, tourism had waned and unemployment and crime had increased. Carte Blanche was ordered to broadcast an on-air apology and also place it on the show's website.